When is it Time to Replace Kitchen Equipment? 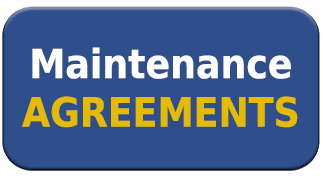 Growing Repair Costs: You may have a piece of equipment that requires more and more frequent repairs. You’ve come to the point that you need to decide if it is repairable to a point of consistent performance or if you just must replace it. If you find that the cost of repairing the equipment is getting close to half of the value of a new unit, you might want to consider replacement. Let’s say you have piece of equipment in need of repair that is worth $5000 and the repair cost would be $2500. If you feel that the repair will add another 10 years of useful life to the equipment without any need for additional repairs, then go ahead and make the repair. If, however, there are other issues with the unit and it will still need additional repairs, it might be time to bite the bullet and start looking for a new unit. Usually, by this point, your service company has noted in their invoices that the piece of equipment needs to be replaced. If not, you may want to ask their opinion. Availability of Parts: If your equipment is very old, there will come a time when you will not be able to get replacement parts for it any longer. When it’s Cheaper to Buy New: Some pieces of equipment just aren’t worth the money it would cost to repair them because their replacement cost might be the same or even cheaper than the repair. These are typically smaller units like counter-top blenders, food processors, warmers, coffee makers, microwaves, etc. Safety: Sometimes the equipment becomes dangerous to you, your staff, your customers and your establishment. Even if the equipment is still working, you must make that decision to replace it. Gas leaks, electrical issues, shocking staff, etc., if not repairable, dictate that you replace the equipment. The ability to perform more tasks than your old unit. 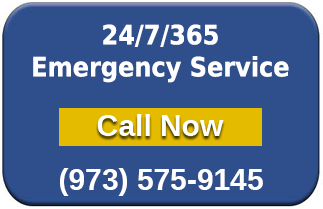 Additionally, a new piece of equipment relieves you of the stress of not knowing when another emergency breakdown will occur and new equipment will come with a manufacturer warranty for a year or two, which will cover any parts failures or manufacturing defects. It will also have a brand new life expectancy. Make sure that you properly maintain the equipment, so that you can take advantage of this new start and keep your equipment running well for many years to come. 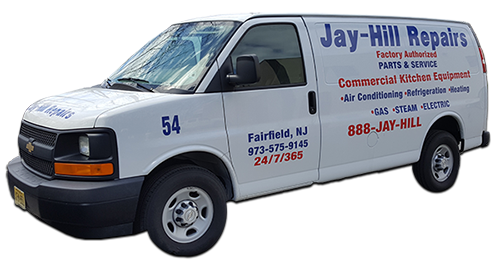 Jay-Hill Repairs offers a variety of maintenance agreements to suit every budget and need. 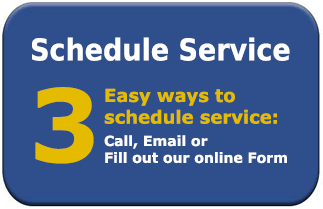 Contact us for more information on keeping your equipment working in optimal condition, efficiently and safely.